Prepaid travel cards save you the hassle of carrying around lots of cash when you’re on holiday. Simple to use – you buy one and load it with your currency of choice before you go away. Compare prepaid travel cards and find the best option for your currency needs. This is a list of featured prepaid travel card providers. Balance leftover after your trip? Swap into another currency for next time, or swap it back and spend at home. No credit checks to open an account, No links to your bank account, No tie-ins, No interest to pay. 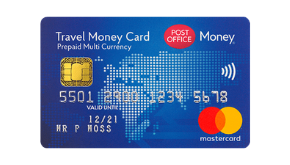 Post Office are offering a FREE Lonely Planet e-Book when you order your first Travel Money Card and load it with at least £50 of currency. We’re the UK\'s largest retail network and the largest financial services chain in the UK with more branches than all of the UK’s banks and building societies put together. We also have growing direct channels such as contact centres and online - meaning we’re there for more customers, in more ways.